CQUniversity Australia is not like other universities. With a presence that spans from Mackay in the north to Melbourne in the south, CQUniversity has one of the largest footprints of any university in Australia – and is making an impact just as great. CQUniversity prides itself on being one of the nation’s most inclusive universities, offering higher education to many who would not otherwise have the opportunity. With over 100 different degrees that will ensure graduates are job-ready, CQUniversity offers one of the best mixes of classroom- and workplace-based learning of any Australian university. 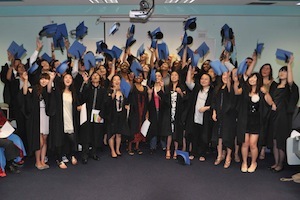 It also boasts one of the largest proportions of international students of any Australian university, with students coming from as far afield as Asia and Europe to study with CQUniversity. And with more than half of its students studying by distance, CQUniversity is responding to people’s need for flexibility and making a difference to more people than ever before. 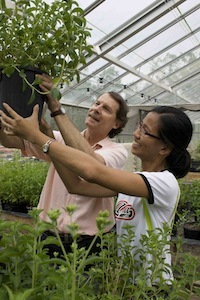 Finding innovative solutions to complex problems is what CQUniversity researchers do best. Only two decades after gaining full university status, CQUniversity is already a national research leader in engineering, nursing, and medical and health sciences, with a ‘world class’ research ranking* in each of these disciplines. 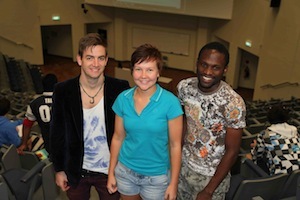 As one of Australia’s most engaged universities, CQUniversity prides itself on its close connections to the communities it serves. 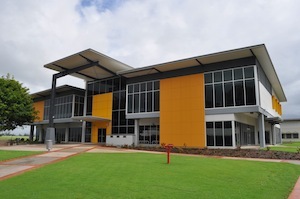 From its ‘open campus’ philosophy – which encourages community groups, sporting associations and local businesses to utilise its grounds and facilities – to its dealings with industry and government at the highest levels, CQUniversity values engagement just as much as quality learning and teaching and research. CQUniversity has set itself the ambitious task of becoming Australia’s most engaged university over the next decade, however engagement is not a new philosophy for the institution. In fact, since its birth more than 40 years ago, CQUniversity has developed a special connection with its communities and has worked hand-in-hand with them on numerous fronts. CQUniversity’s Community and Engagement Hub is a vehicle for innovation and change and represents the ‘spirit’ of the University. It provides a platform for collaboration and partnerships, capacity building, learning and knowledge transfer. The Hub allows CQUniversity to interact and partner with its diverse internal and external communities in its journey to become Australia’s most engaged university.